Six months ago I went in for my Hashimoto's check with my general practitioner and he we went through the list of medications that I take. I don't take a lot. I'm not a person who likes to take medicines, especially if there is another way of handling something. /But as most with Hashimoto's will tell you, one of the ways that Hashimoto's manifests itself is by creating anxiety. In the most recent past, anxiety was usually treated with a drug such as Ativan® (or Lorezepam) or one of the other drugs listed as in the benzodiazepines. Proper thyroid function requires that both the T3 and T4 hormones get inside tissue cells, with T3 requiring much less energy for cell transport than T4. Numerous studies demonstrate that cell energy may not be sufficient to allow for adequate thyroid hormone transport under some conditions, such as diabetes, migraines, depression, chronic fatigue, chronic inflammation and high cholesterol. The use of some drugs, such as Valium®, Ativan® and Xanax® can also interfere with T3’s ability to enter into the cells. According to the information I found when I researched this, it is suggested that when taken at the same time as a drug such as Synthroid® (or Levythyroxine), even when blood testing shows an adequate amount of the T3 cells being produced, the benzodiazepines will actually inhibit the body from converting them into the much needed T4. Please keep in mind that I had to mine for this information. But because Thyroid research is such a crucial continuing study, this should be kept in mind. 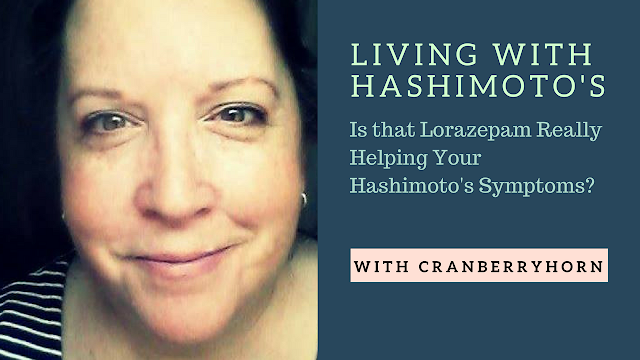 I'm not sure my doctor is even aware of this, but even though I have stopped taking Lorezapam I am still going to share with him what I found. This just shows that your own research into your condition continues to be necessary. Not all the information may be correct, or it may be in the initial stages of development, but it should still be considered. Hope this helps someone in need. Start a dialogue with your doctor today! I grew up watching the local Public Broadcasting that was mostly out of Boston and comprised shows like Victory Garden. 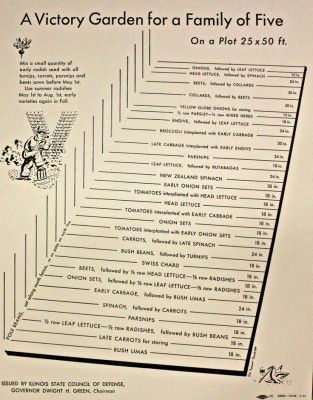 It fascinated me, but it wasn't until just recently that I realized just how important the term Victory Garden really was. It started with my obsession with the BBC's Wartime Farm. 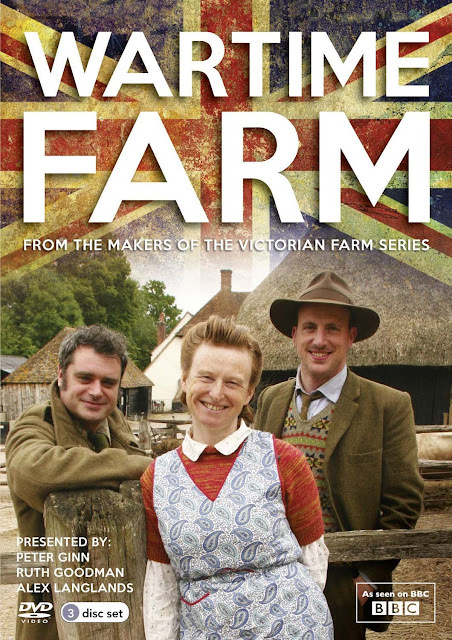 (Actually, I watched Edwardian Farm before that) and from there my obsession with the workings of farms during WWII ended up with my current addiction of BBC's The Land Girls. 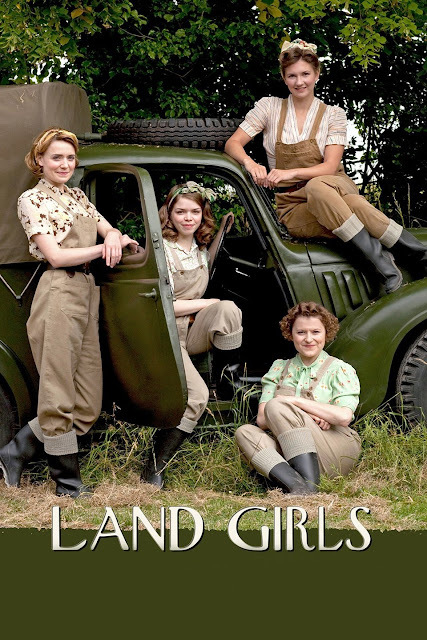 Land Girls was the term given for the women who signed up to help out the farms during wartime and to make up for the men's absence. Sort of a female version of the Conservation Core. They were given room and board and a small stipend in return for what was really a crucial effort to the feed the countries during the war. In America, as in many other countries, women were being called upon to take the place of men in the jobs traditionally only seen as men's work before. They were also expected to help feed a nation that was already being heavily rationed, and they managed it like dynamos! Eleanor Roosevelt was a huge proponent of Victory Gardens, and much to the dismay of many she had one put on the White House grounds. 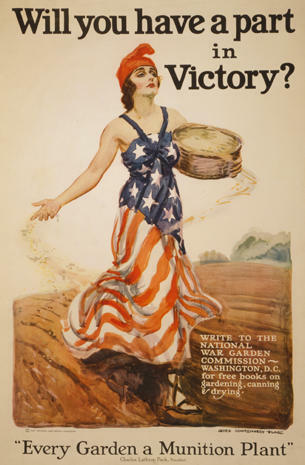 During WWII, there were over 18 million Victory Gardens in the US. There is still one in existence in Boston's Back Bay, near Fenway. And each was designed to make the most out of the smallest amount of land and supplies. Here's an example of what they suggested could be done with a 25 x 50 plot. This would have been to feed a family, but in the case of community gardens like Boston, you were raising food for everyone. When we talk about a self-reliant lifestyle or even homesteading, many of the skills that we practice today are ones that were utilized heavily in those years. Remember, the country had just come out of The Depression, now they were being called on again to use those same survival skills learned there to protect their home and country. By the way, if they can grow vegetables in Boston's Back Bay area when that was basically a land fill, then I can certainly grow on my own 3/4 acre lot of land fill. It only takes determination and a whole lot of work to make it grow. My supply was getting low. Usually, I reserve this for evenings when the house starts to cool down. I get my water heated through the Keurig, making it nice and hot and great for cold fingers to hold onto until it cools enough to drink. 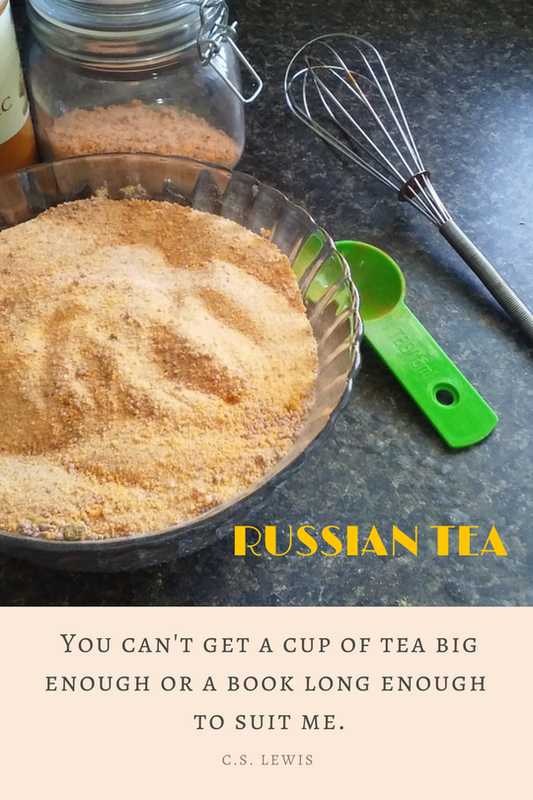 If you haven't heard of Russian Tea, or Friendship Tea as it is sometimes called, it has been around since about the 1960's or 70's. The main ingredient and the element that gives it such a soothing taste is Tang. Most of us are well aware of the orange stuff. Some of us are even old enough to remember commercials featuring astronauts who drank it. But that old favorite is still around, and paired with the other ingredients (most of which can be found in your own cupboard) you'll have a lovely drink that is great warm or cold and costs pennies to put together. While researching this, I found that everyone has their own variations of what to add. I actually made this and added a teaspoon of Turmeric (don't tell hubby). Since both Turmeric and Ginger have such great anti-inflammatory properties I thought I'd give it a whirl. Tastes great! So, here's my recipe for the tea! I'd love to hear what you add to it and how you like it! If you want to see me make it in real time you can follow me on YouTube at CranberryHorn and watch the video! Optional: Essential oils in your choice. Place together in a big bowl and stir together. To drink, add 3-4 teaspoons of it to hot or cold water and stir. Some like to add milk or cream. Store in an airtight container and stir before each use!